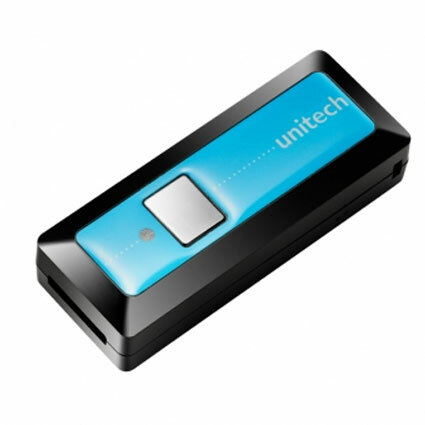 The Unitech MS910 barcode scanner offers the portability and ease of use you need for mobile POS or inventory management applications. Compatible with iPhones, Android devices, and other Bluetooth-enabled products, the MS910 is a lightweight and aggressive barcode scanning solution. About the size of a pack of gum and weighing less than an ounce, the MS910 offers terrific durability in a small package. 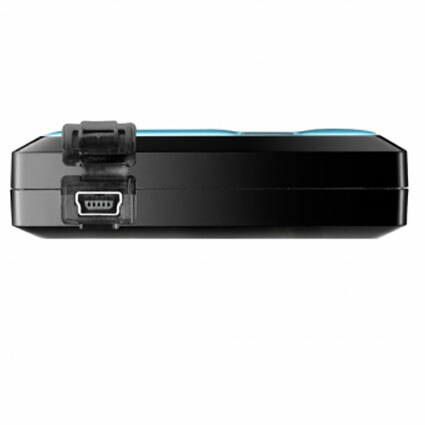 The barcode scanner´s body is reinforced to withstand drops of 5 feet, surviving the bumps and accidents you might experience in a retail or mobile POS setting. 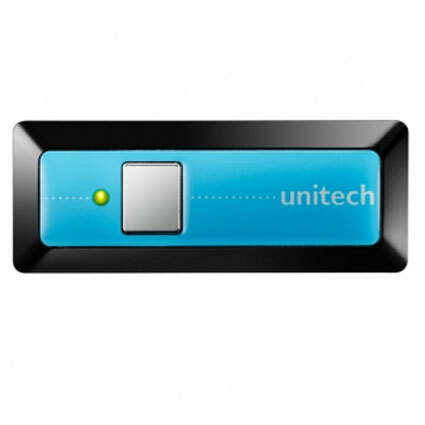 The MS910 is also backed by a 1- Year warranty from Unitech, providing additional peace of mind. 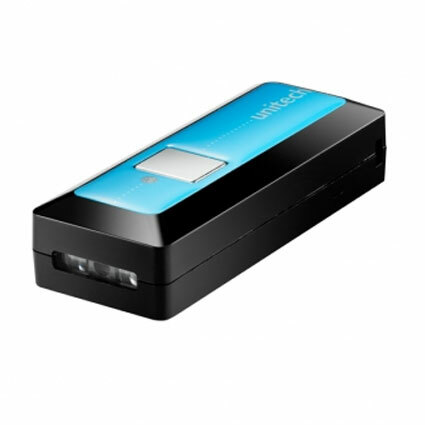 The MS910 uses a linear imager to scan barcodes, giving you an optimal scan range of up to 5.5" for retail barcodes. A maximum scanning speed of 240 reads per second ensures quick and aggressive scanning, keeping up with most checkout or inventory management applications. The MS910´s Bluetooth radio pairs with iPods, iPhones, or other smartphones or tablets with ease, making the scanner a fantastic choice for any mobile barcode scanning. Dimensions (W x D x H): 0.94" x 2.56" x 0.71"